WHAT IS YOUR FAVORITE PIXAR MOVIE? by Jamie Greening.In All, Culture, Movies.6 Comments on WHAT IS YOUR FAVORITE PIXAR MOVIE? I am the kind of guy who admits my biases easily. I have a bias towards movies. I love them. I have a bias towards clever dialogue. I have a bias towards something I can watch with my whole family. These are some of the reasons why I love Pixar movies. Of course we do. I got vetoed on watching The Ten Commandments, which, though not very biblical is very, well, very charltonhestony. So we ruminated and sorted through and decided to watch one of mine and Mrs. Greenbean’s faves: Up. In that same vain, here are my top 5 Pixar movies, in order. 1. 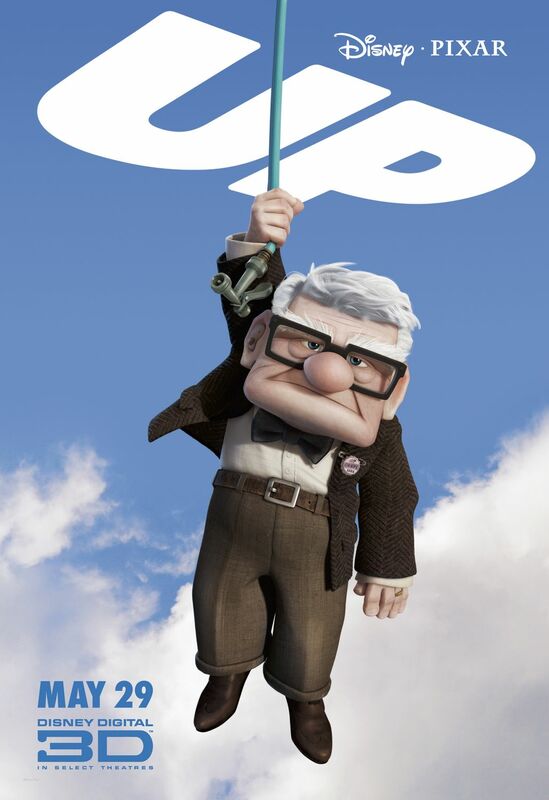 Up–This is not just a wonderful movie, but it is great storytelling. 2. Toy Story 2–I know, I know, most of you would put Toy Story 3 here, but what made Toy Story 3 so great? That’s right, the foundation laid in Toy Story 2. This is such an odd sequence in that it defies convention–the best is the second, the next best is the third and the least is the first. The only other franchise I can think of with the same ranking in sequels is the original X-Men trilogy. 4. WALL-E–Sci-Fi, social commentary, and a love story, well sign me up! It is so very Isaac Asimovish–a future world where robots develop relationships and have to save human beings from themselves. 5. Ratatouille–It was close between Ratatouille and Finding Nemo, but Ratatouille wins because it is about cooking. How can I not side with cooking? Besides, Ratatouille doesn’t seem to get the love the others do, but I think it is a fantastic film. Okay, now for the bad list. here are the top three worst Pixar films, in reverse order. Just foolin’ ya. There is only one truly bad Pixar film, and that is Cars 2. All the rest are really good. I wonder, what is your favorite? Least favorite? Now, for you brave souls who have a Monday morning to kill, check-out one of these two links. Picking a favorite Pixar movie is really tough! But I guess I’d have to go with WALL-E, though all of the Toy Story films are right behind. WALL-E, combining science fiction with romance through robots and a post-apocalyptic world, is simply a masterpiece. Though growing up with Toy Story while growing up, Toy Story 3 is full of nostalgia and being able to let go of the past. Pixar is just too damn good. you’re right about that, pixar is very, very good. they hit their mark almost every time. i like WALL-E too for the same reasons you mentioned. thanks rob for reading and commenting. i appreciate it. The best characters, and heartbreaking and funny moments. I guess I’m kind of biased, as I grew up with this, but I still love the connection between father and son. Just beautiful setting, ambition, characters. thanks isa13na for reading and commenting. yeah, that pixar theory is something else. i first came across it about a month ago and i have to admit, i found it fascinating. i like your list too, and i think we both share a love for WALL-E. i like the way you say ‘they expressed them with so few words’ because that is true of WALL-E and UP. I have to say, it is also seen in UP, especially in the Married Life montage. Which really left the audience to feel and not just hear. I know what you mean about Toy Story 2, but just overall, I like 3. The Pixar theory was funny but still interesting, and made sense. I always like to read it. that married life montage in Up is some seriously great movie making. Next Next post: DO YOU THINK SPORTS BUILD CHARACTER?